Fianna Fáil party leader is just the third in his party to have a seat in the next Dáil. FIANNA FÁIL LEADER Micheál Martin has retained his seat in Cork South Central, polling 10,715 votes in the constituency. Martin came through on the first count after just beating the quota of 10,674. So far, just two other Fianna Fáil candidates have been elected – Brian Lenihan and Seams Kirk. Kirk was automatically returned to the Dáil for Louth because he served as the Ceann Comhairle in the last Dáil. Fianna Fáil’s Martin Mansergh denied that the elections results should be considered a wipeout for the party, saying instead it was a “severe setback”. Fellow candidates Pat Carey and Seán Haughey said the party would have to learn from its losses and focus on its renewal. 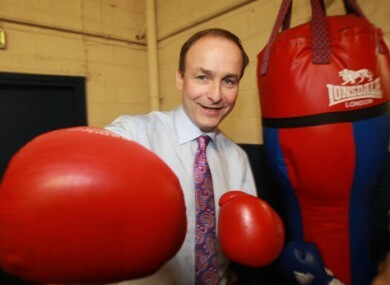 Email “Micheál Martin retains seat in Cork South Central”. Feedback on “Micheál Martin retains seat in Cork South Central”.